Who said boring? 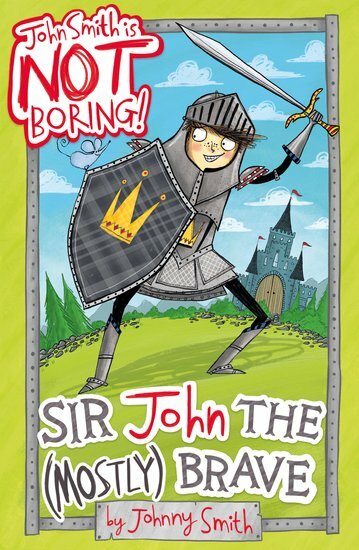 John Smith is a gallant knight with a sword, shield and cool battles to fight. So there. You know not to judge a book by its cover, right? (Apart from this book. It does look pretty great.) Well – John Smith would like you never to judge a kid by his boring name. Because John is NOT boring. Far from it. In his last book, he was a pirate. Oh, the envy. Now he’s a knight of the realm. His task: to rescue the Queen from a deadly foe. Arise, Sir John, and save Her Majesty! Got a boring name? Enjoy. Got a brilliant one? Read this just the same. John Smith is NOT Boring!